The Senator will shave his beard off for charity on the Ray D’Arcy show tomorrow morning. SENATOR DAVID NORRIS is set to shave off his beard for the first time in 40 years – and all because of the Seanad. Senator Norris pledged to Ray D’Arcy Show listeners that he would shave off his beard if the public voted against the referendum to abolish the Seanad. After the referendum was defeated, Norris told D’Arcy that he was going to go ahead with his promise, and raise money for charity. Norris has had his beard for 40 years, and will say goodbye to it tomorrow live on the Ray D’Arcy Show at 9.30am. The station said it will be streamed live on www.todayfm.com. All monies raised will go to Today FM’s Shave or Dye benefiting the Irish Cancer Society, 50 per cent of which will be allocated to Professor John Crown’s Cancer Research Trust. People can donate €2 by texting SHAVE to 50300 or visiting the MyCharity page. Senator Norris announced in June that he was undergoing medical treatment for cancer. 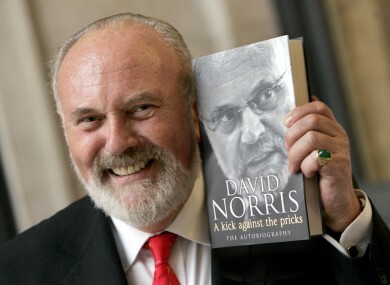 Email “David Norris to shave off his beard - over the Seanad referendum”. Feedback on “David Norris to shave off his beard - over the Seanad referendum”.